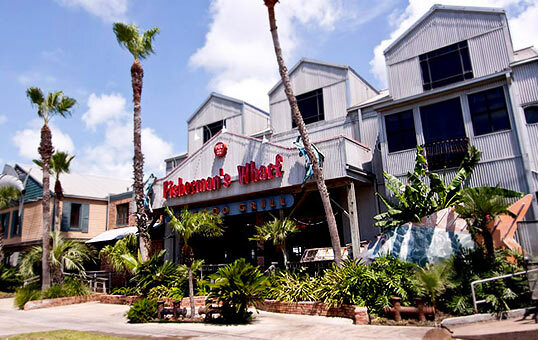 A Texas-sized establishment, it is the perfect spot to unwind, ideally situated next to the Historic Strand District, the Tall Ship Elissa and Galveston Cruise Terminal. The menu features the famous Shrimp Kisses (bacon-wrapped and stuffed with jalapeño Jack cheese) as well as an extensive selection of fresh fish daily, signature seafood combination platters, savory chicken dishes, pastas and perfectly prepared steaks. Enjoy a leisurely meal in one of the many dining areas – all of which boast splendid views of the bay. 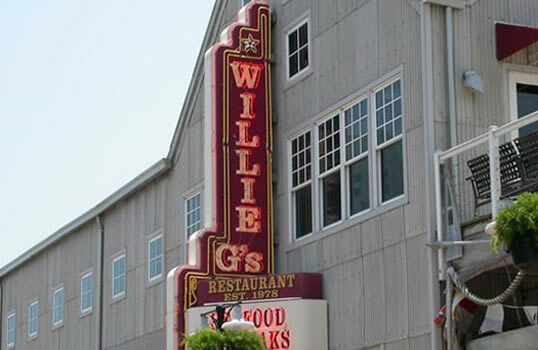 Overlooking the Pier 21 marina with views of 1877 Tall Ship Elissa is Willie G’s Seafood and Steaks. Their fresh fish specialties include Redfish Louisianne (blackened with crabmeat, crawfish and mushroom beurre blanc), Snapper Lafitte (blackened snapper topped with shrimp, crabmeat and avocado), and Grilled Salmon Ceretto. They are also known for their Stuffed Flounder filled with jumbo lump crabmeat.